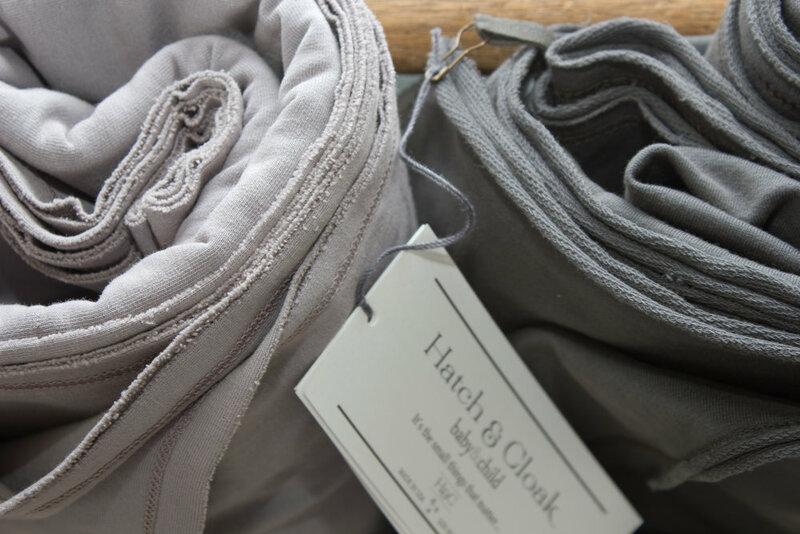 At Hatch & Cloak we use the finest luxury fabrics from our special signature knitted cotton blend that is finished with only the softest hand. 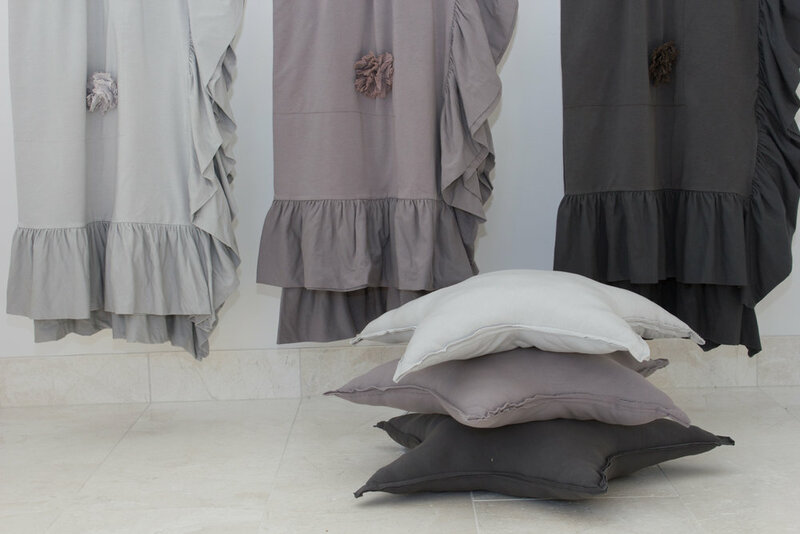 We use several other fabric textures from our finest 100% cotton voile’s, poplin’s and our soft terry blends. We use 100% cotton laces to add classical vintage inspired detailing along with our distressed intricate raw-edged hand-made flowers and stars. Finishing details showcased from our draping ruffles and delicate laces create a traditional and timeless vintage inspired feel. We focus on the finest fabrics, fibers, and weaves from start to finish. At Hatch & Cloak we set the highest standards and are proud to say that all of our garments are cut, sewn, dyed and washed with the softest hand. Our dyeing process is dyed in lots which means that there are shade and color variations within the fabrics and laces of our garments that may vary. This process of our dyeing makes our products more unique than other products. 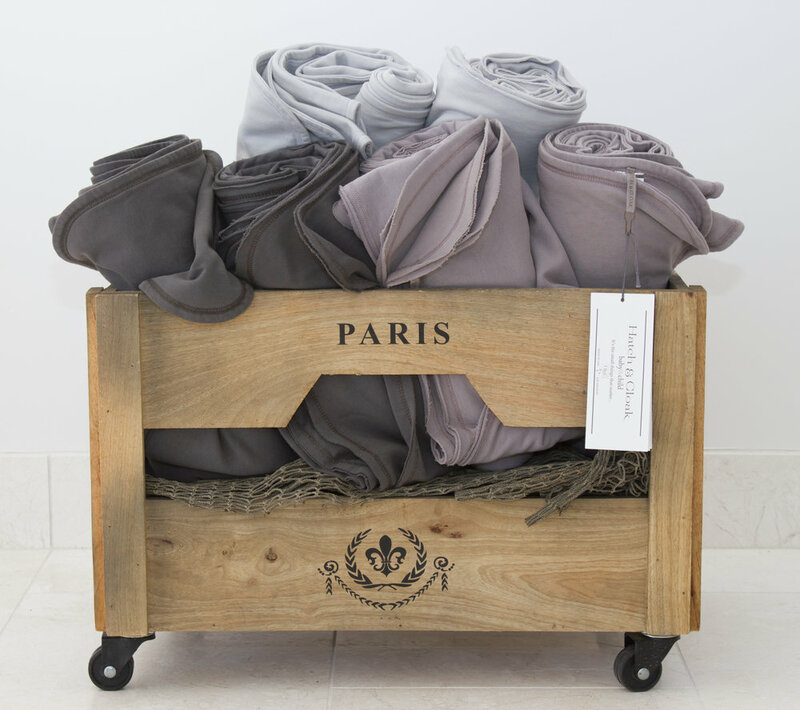 Our garments are easy to care for and can be laundered in your own home. 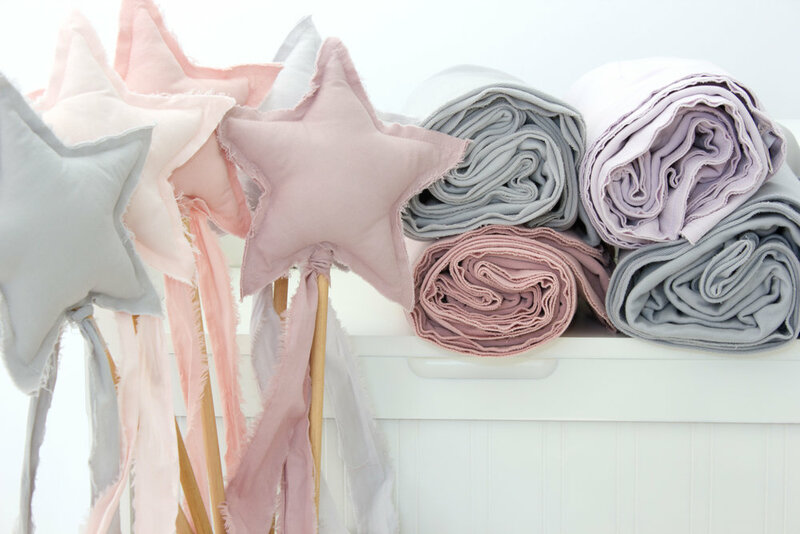 Flowers and stars, detailed with our unique raw-edge and distressed look create a vintage inspired feel after each wash.
Our customers know and appreciate the difference and deserve only the best. 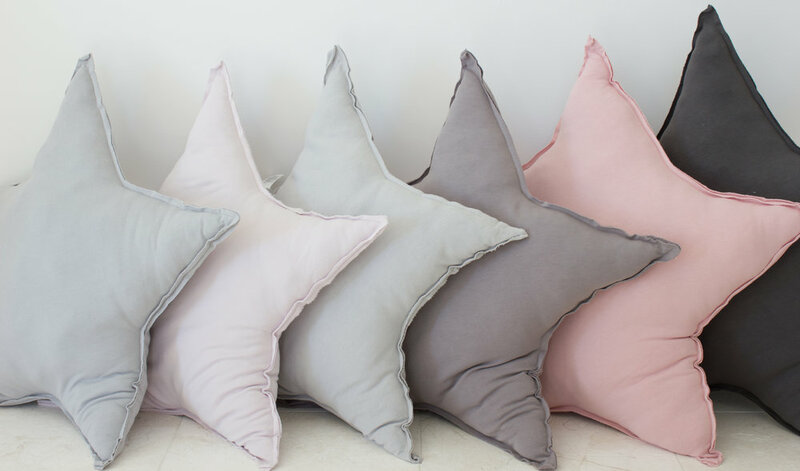 Combining our softest special blends of luxury fabrics that are dyed create beautiful and elegant soft hues that you can indulge in, and will continue to grow and transition with a baby, child, and adult lifestyle. Hatch & Cloak "It's the small things that matter"